July 19, 2016 By John P.
Today I was met with a bit of an engineering challenge. I had a hole that was about 1.5″ in diameter, and I needed it to be more like 2.5″. Normally I’d make a hole either of these sizes with a hole saw. But a hole saw relies on the fact that you can use a center bit to stabilize the blade as it spins around. 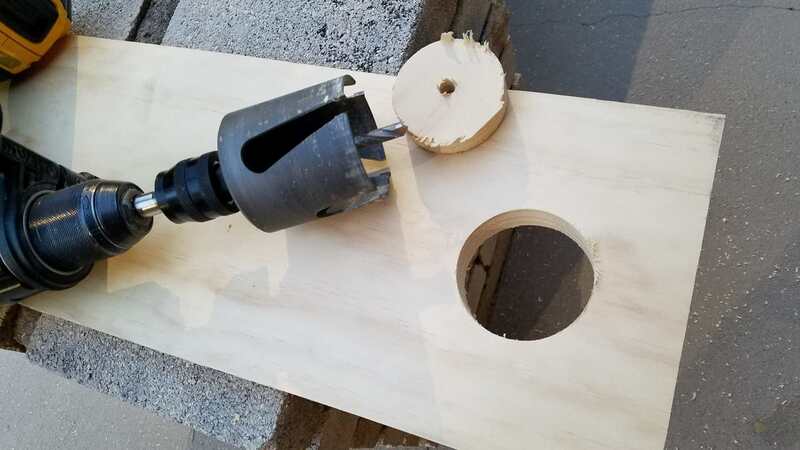 It is impossible to drill the hole without the center bit, and you can’t use the center bit if there is already a hole bigger than the bit! What to do?!? 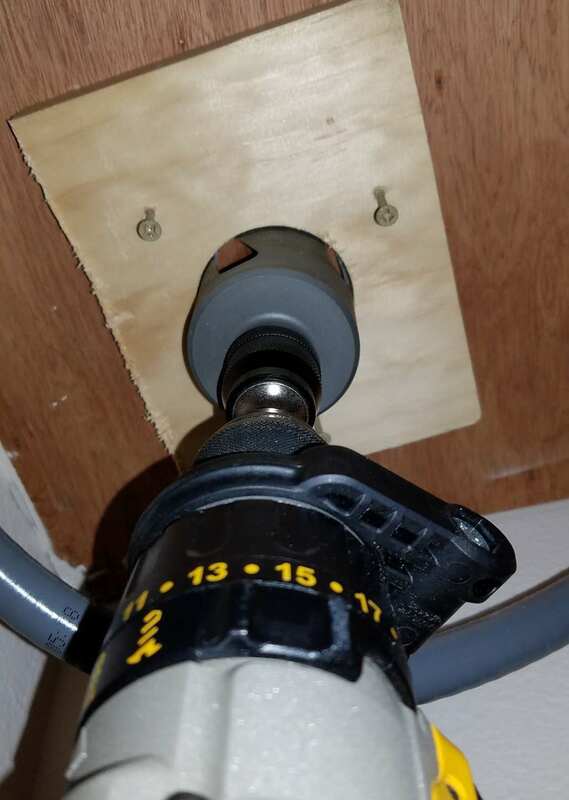 It just so happens there is a tool called the Oops Pilot Arbor that is designed specifically for this purpose. It lets you put TWO hole saws together. You use the original size saw to steady the drill, and the larger one follows. There is also the Craftsman Professional Hole Enlarger Kit. It does the same thing. Since I didn’t have one of those tools, and was unwilling to wait, I used a piece of scrap wood instead. 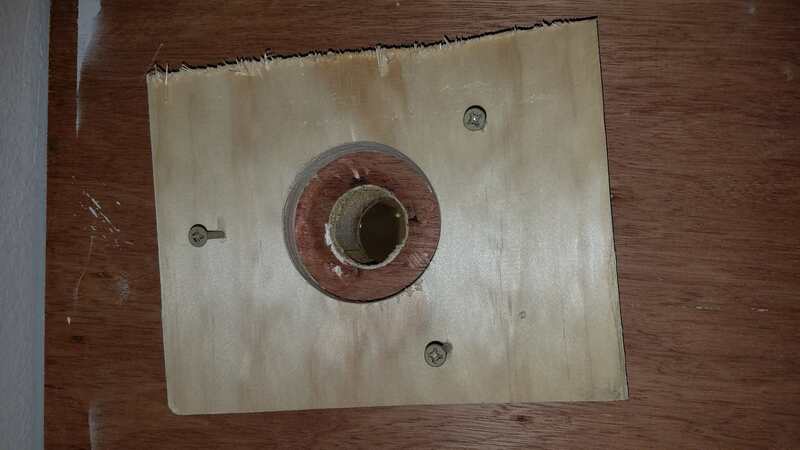 First, using your hole saw with the larger size hole you want, make a hole. Finally, you can get down there and feed your hole saw right through it to make your cut! I wish I would’ve know about this a year or so ago! Great idea.